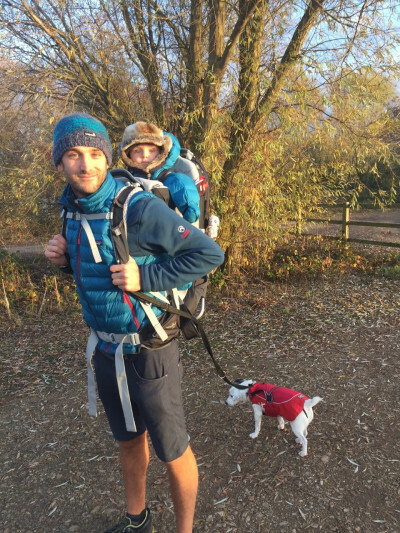 Follow these top tips from Oli, The Outdoor Dad, to make the most out of hiking with your kids. Have fun out there! Of course you aren’t going to let your children pick the route, but you can make them feel as though they did. 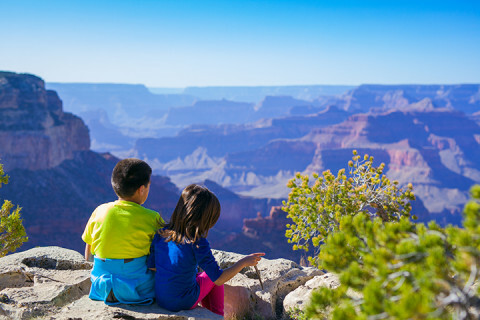 Show them the maps and point out a bunch of trails, peaks, forests or lakes you’re planning to visit, so your little explorer feels part of the process from the start. 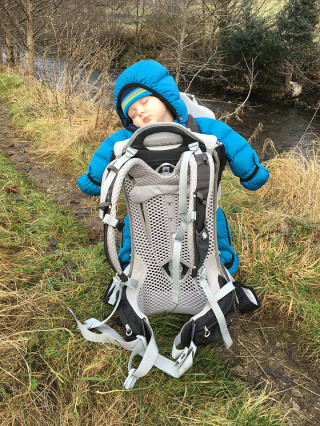 If it’s your first time hiking with kids, don’t be too ambitious. A couple of miles could take all day, so make sure the route is short and memorable. You don’t need to climb the highest peaks – think back to the coolest outdoor trips you remember as a kid. The sight of a fast river, knobbly tree, steep crag, dark cave, or soaring eagle could stick with them forever. This is your chance to show off all that outdoor knowledge your mates don’t care about – because kids will lap it up! Tell them ice carved the valleys you’re walking through, how the peaks above were formed by erupting volcanos, that dinosaurs once roamed the same landscapes you’re exploring today, and how you were the first person to climb Mount Everest!!! 4. Always make it fun! It doesn’t take much for kids to get bored, so stay one step ahead of them. Show them wildlife through binoculars, let them pose for heroic photos, play a few games of hide and seek, sing songs to keep their spirits up – and if you’re really prepared, dish out nature bingo cards so they spot interesting things along the route then tick them off. It’ll be hard enough to keep your mini adventurer’s spirits up for the whole day without bad weather putting a downer on it too. Check the weather forecast well in advance and don’t be afraid to cancel on the day if conditions look dodgy. Short-term disappointment is easier to deal with than the long-term scars of a wet, cold and windy hike. You might like proving your toughness by tackling hurricanes in shorts and slip-flops, but your little companions won’t thank you for under-dressing them. Always make sure kids are kitted out in the same warm, waterproof and windproof gear you are – and pack plenty of extra layers in case of emergency. Children are far more vulnerable to cold than adults. You might have enjoyed racing up and down mountains in the past, but you’ll have to get used to hiking at a snail’s pace now kids are involved. Allow plenty of time to complete your route and plan rest stops at regular intervals – before they get bored, tired and cranky. Would a chocolate bar, jelly baby or cold drink boost your spirits if you were feeling low on energy? Of course it would, so pack lots of them! A cool way thing to do before you leave home is to encourage your kids to make their own trail mix, and let them chuck whatever they want in there. Fruit, nuts, chocolate, broken biscuits, sweets – anything goes. You might not want to get your expensive kit muddy, but you’re walking with someone who will. Puddles, bogs, rivers, lakes – everything is fair game. This is also another good reason to pack extra layers and a spare change of clothes for your kids, because the chances are you’ll need them. If you’re transporting a baby they’ll most likely be strapped to you, but if you’re at the toddler stage or above then they’ll want to explore on their own two feet. Until they get tired that is, which is when you’ll turn from travelling companion into pack mule. They’ll be clambering on your back, in your arms, on your shoulders, or in your backpack, so it might be a good time to hit the weights. You should always have a first aid kit in your pack, even on adult-only adventures, but you’ve got no excuses to cut corners now. As well as a fully-stocked first aid kit make sure your phone is fully charged in case of emergency, you have the correct maps and know how to navigate in poor weather, and that you’ve left details of your exact route with someone who isn’t on the trip. Avoid difficult terrain, extreme weather, and obvious hazards, and you’ll all have the time of your lives.